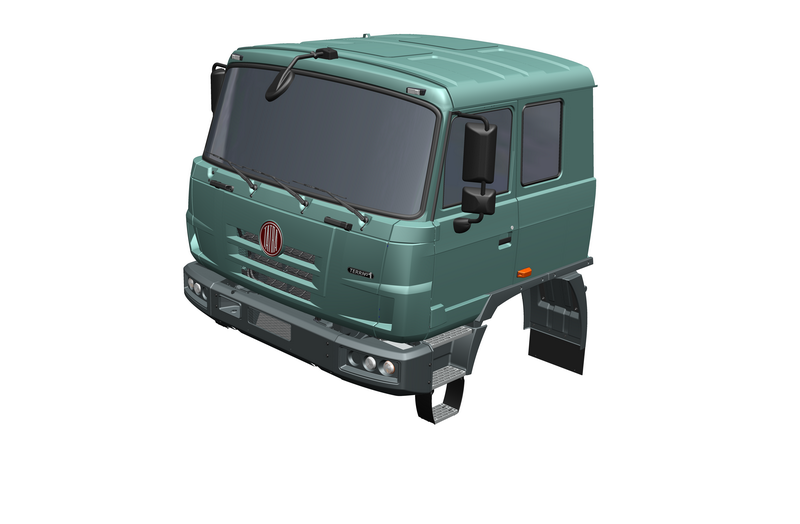 For the T 815-2 range and TERRN°1, ARMAX and FORCE commercial ranges, besides the basic short (day) cab, an extended cab with room behind the seats that can be used for a bed is also available. 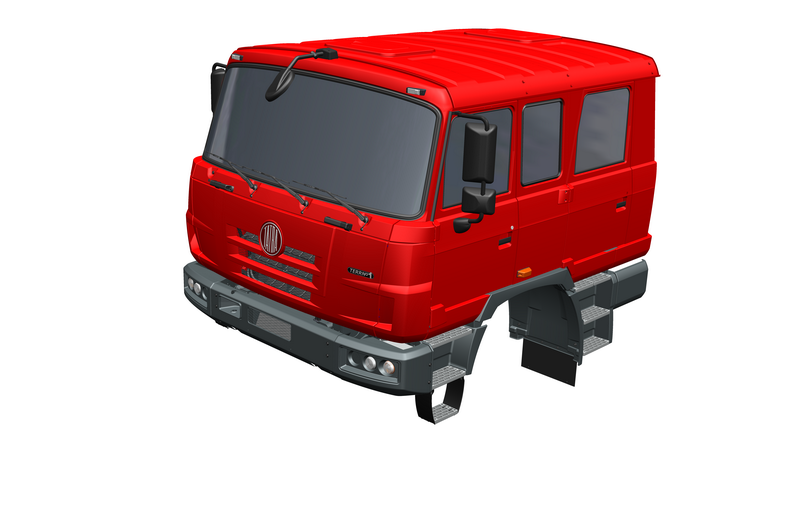 The company offers a long four-door cab enabling transportation of up to six persons especially for fire fighting applications. A tilt cab is a standard. It is mounted on the frame through a combination of rubber silent blocks and telescopic shock absorbers (short version), or air bellows on the extended and four-door version. 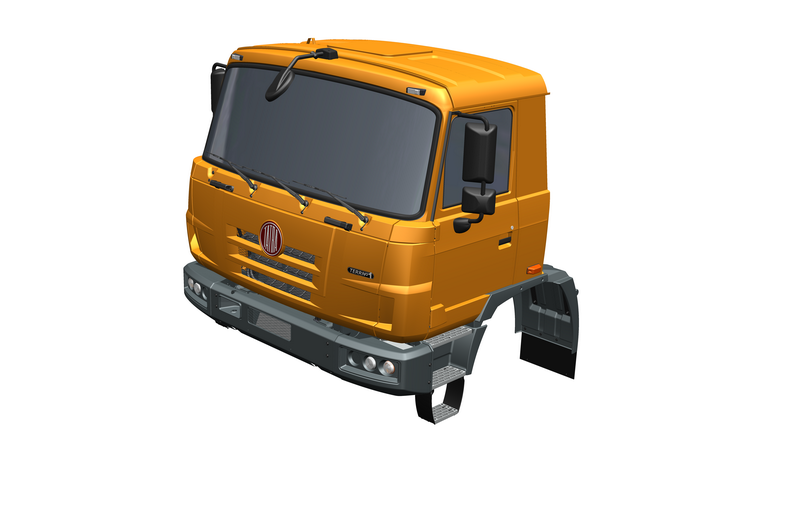 For the T 163 (JAMAL) range, the short cab is the basis for a cab with a robust forward tilt hood giving the vehicle an original visual design. Optional cab equipment includes an adjustable steering wheel for rake and reach, suspended seats, air conditioning, independent heating, central locking, electric windows, an ignition lock, i.e. a clutch lock system, electrical cab tilting or special cab interior lining and paneling for operation at extremely low temperatures. The T 815-7 trucks have an absolutely autonomous cab produced in two basic versions – short and extended. The low-height cab was developed according to specific requirements for special military trucks. 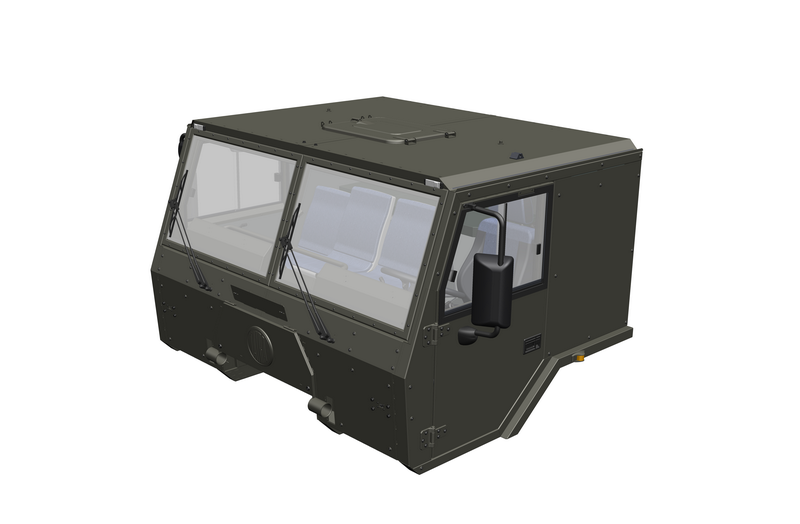 It enables the T 815-7 range trucks to be transported by C-130 Hercules aircraft; the installation of armoured protection elements, overpressure NBC protection kit, a roof hatch for a gun carriage system, etc. The cab interior is different from civilian cabs and has been modified for functionality, easy maintenance and endurance. The cab can be equipped with an adjustable steering wheel, adjustable seats, air conditioning and independent heating. The cab enables the transportation of up to four persons. 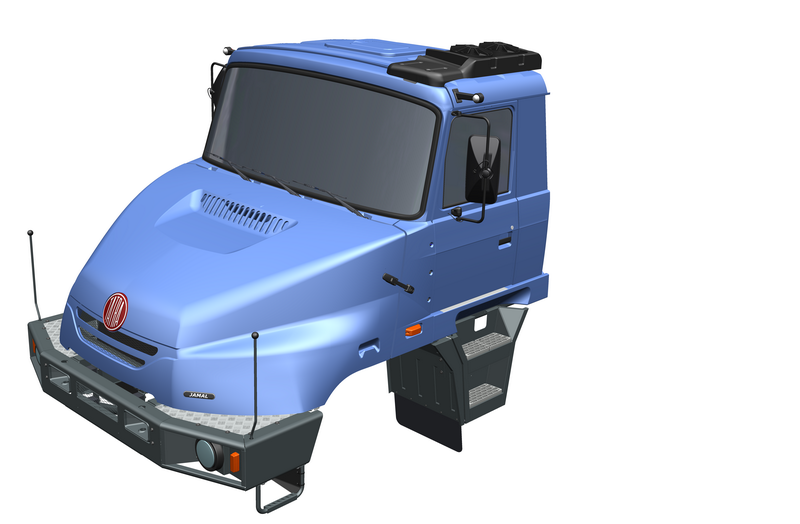 In its lighter version the T 815-7 cab is also designed for civilian use, particularly on trucks for which low total height is required, i.e. for the chassis of special fire trucks, truck-mounted drilling rigs or vehicle chassis. 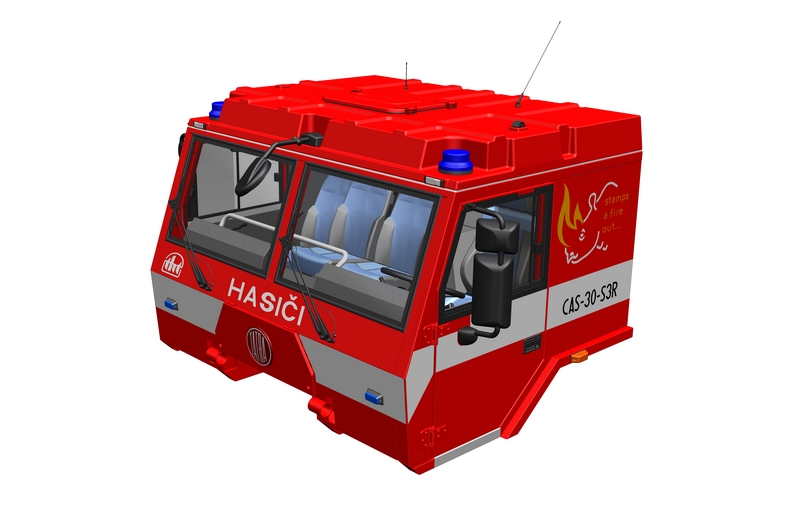 For the civilian sector we offer a higher laminate roof (for special fire trucks) or a cab version complying with strict regulations for ROPS/FOPS mining trucks.